The summer heat and chilly winter temperatures in Double Oak don’t seem as bad when your home has reliable heating and cooling. When you have a problem with your A/C or heating system, however, Cote’s Mechanical can provide you with prompt repairs – even at night or on the weekend. That’s just one of the reasons to turn to us for all of your HVAC needs. 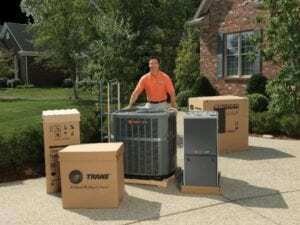 Our company offers a wide range of HVAC services for residential and commercial customers in Double Oak, including heat pump installation and air conditioner repairs. You’ll also get a free service call with repairs or a free estimate when it’s time for you to get a new HVAC system installed. 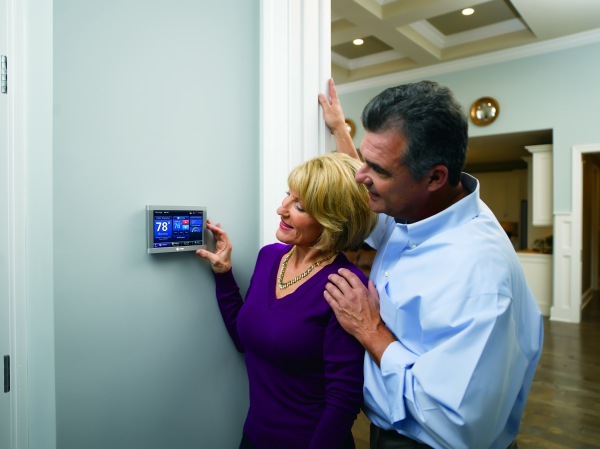 HVAC systems are among the biggest investments homeowners make. That’s why it’s important to protect that investment by keeping the system running properly over the years. When you have a heating or cooling system that needs to be replaced or repaired, Cote’s Mechanical is here to assist you. We offer dependable installation and repair services for residential and commercial customers in Double Oak. Our licensed technicians at Cote’s Mechanical can also maintain your HVAC system to extend its lifespan or provide replacement services if needed. Our other services for home comfort include attic ventilation and air duct services. Residential and commercial property owners in the Double Oak area have been able to depend on Cote’s Mechanical for superior customer service since 2001. Owners Cote and Kristi Wyatt started the company to help ensure that homes and businesses throughout the area have dependable HVAC services. Over the years, Cote’s Mechanical has remained firmly committed to providing customers with exceptional care that you can’t find anywhere else. We have received numerous online reviews that show just how committed we are to keeping our customers satisfied. These reviews mention how quickly our technicians were able to show up and get started on emergency repairs and how thorough they have been with new installations. Our company has also received many recommendations on Facebook and Nextdoor. Our dedication to customer care that goes above and beyond has earned us recognition from the Better Business Bureau, Angie’s List, and other organizations. Angie’s List presented us with the 2016 Superior Service Award, while the BBB gave us a rating of A+ for our service. We are also certified in North American Technician Excellence and have accreditation from the Air Conditioning Contractors of America. Since we have met the high standards of service from Trane, we have also been certified as a Trane Comfort Specialist. Residents living in Double Oak have an average household income that is close to three times more than the state and national averages per household. Houses in Double Oak usually cost quite a bit more than what residents would pay in other areas of the U.S. and Texas. While the average home price in the U.S. is around $184,000 and the Texas average is around $142,000, Double Oak homes go for an average price of $400,200. There are around 3,000 residents who make their home in Double Oak. Residents of this small town can get to Dallas in about 30 minutes via I-35E S or to Fort Worth in about 45 minutes via I-35W. Denton is about 12 miles away via FM407 W and FM 1830, while Plano is about 30 miles away via the President George Bush Turnpike. Double Oak and the surrounding areas offer plenty of shopping, dining, and outdoor recreation opportunities to residents. Take riding lessons at Brawley Farms in Double Oak, or head to Lantana Golf Club in nearby Argyle to play a round of golf. The Marketplace at Highland Village, The Shops at Highland Village, and Highlands of Flower Mound are just minutes away for shoppers. Residents of Double Oak who are interested in volunteering in the local community have a few different options available. The Double Oak Fire Department has volunteer opportunities available, and there are also boards and commissions for residents to join. These include the Master Planning Committee, the Roads and Drainage Committee, and the Planning and Zoning Commission. If you live in Double Oak and have an air conditioning system that isn’t working, contact Cote’s Mechanical as soon as you can. Our HVAC experts offer reliable installation, repair, and maintenance services for residential and commercial property owners in the Double Oak area.